The Nigerian Army said yesterday that it had put in place new strategies to fight and defeat Boko Haram insurgents in the country. The Chief of Army Staff, Lieutenant General Tukur Buratai, at the closing ceremony of the Chief of Army Staff Annual Conference held at the Command Guest House, Maiduguri, stated that the conference afforded the participants to deliberate on critical areas, such as leadership, command, responsibilities and doctrine. The Army Chief gave a stern warning to operational commanders against leadership failure, just as he urged them to remain committed and focused on their duties. 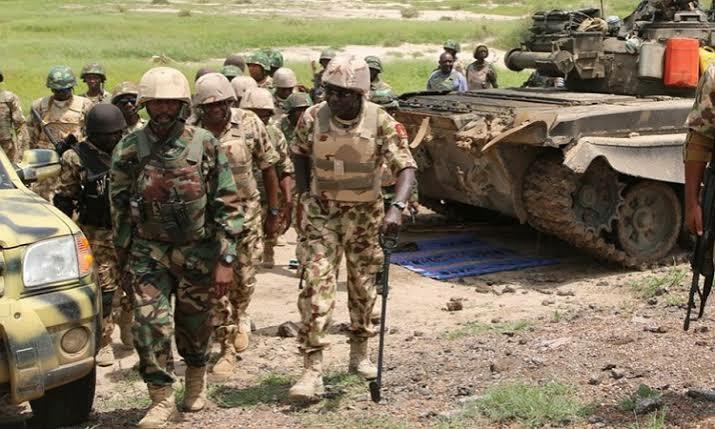 Lt. Gen. Buratai, who regretted the recent setbacks suffered by troops in the Theatre Command, charged the troops not to be deterred but rather be determined to ending fighting the war to the finish. He noted that the Nigerian Army from next year will embark on aggressive training of personnel and ensure more synergy with other security agencies to achieve the desired results. Ahead of the 2019 general elections, the Chief of Army Staff called on officers and soldiers to remain neutral in discharging their responsibilities. Lt. Gen. Buratai said the army hierarchy would neither be distracted nor dragged into partisan politics. The Army Chief said the conference with the theme, “Optimizing the Operational Efficiency of the Nigerian Army Towards Safeguarding Democracy and National Security in Nigeria,” was carefully crafted to shun the lures of politicians . “It is incumbent on us to maintain peace in our areas of responsibilities and shun the lures of politicians and in appraising our operations, we noted the need to increase our manpower, maintain our role and get less involved in roles for the Nigerian Police,” he added. He said there had been clear leadership failure and lack of initiative among senior and junior commanders, stressing that this must be checked and directed operational commanders at all levels to imbibe leadership virtues in coordinating their subordinates. “The recent unfortunate incident involving our troops has given me great concern. We have not done enough in providing adequate protection,” Buratai stated. While cautioning the commanders, Buratai said: “We must remember our oath to defend the nation at all cost. In this regard, the recent activities of Boko Haram should not deter us. We must end the menace”.